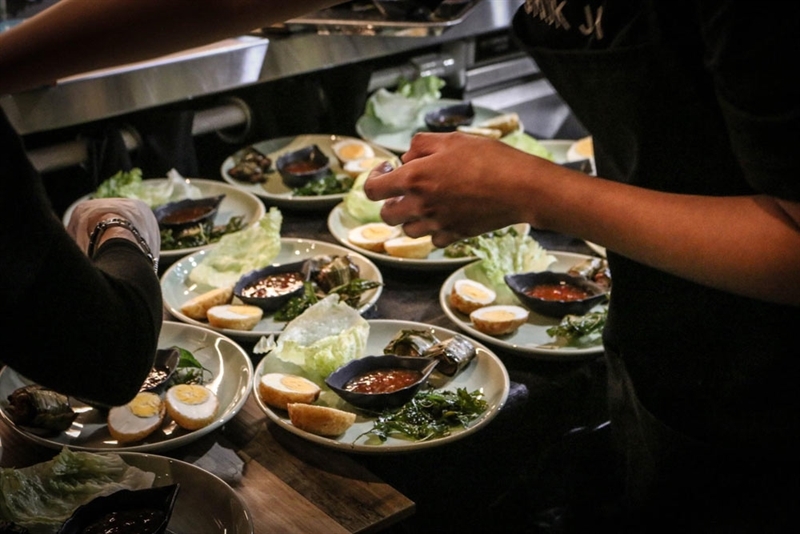 Weeping Tiger: grilled Wagyu beef, served with housemade chilli dressing. 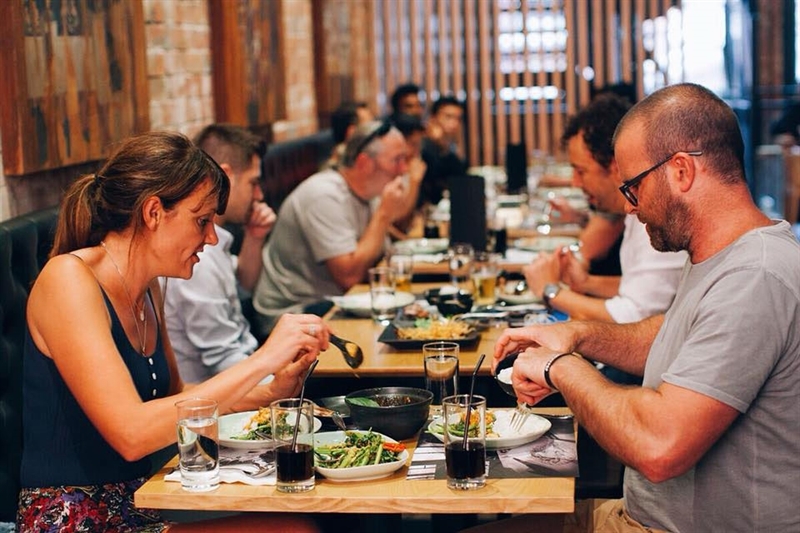 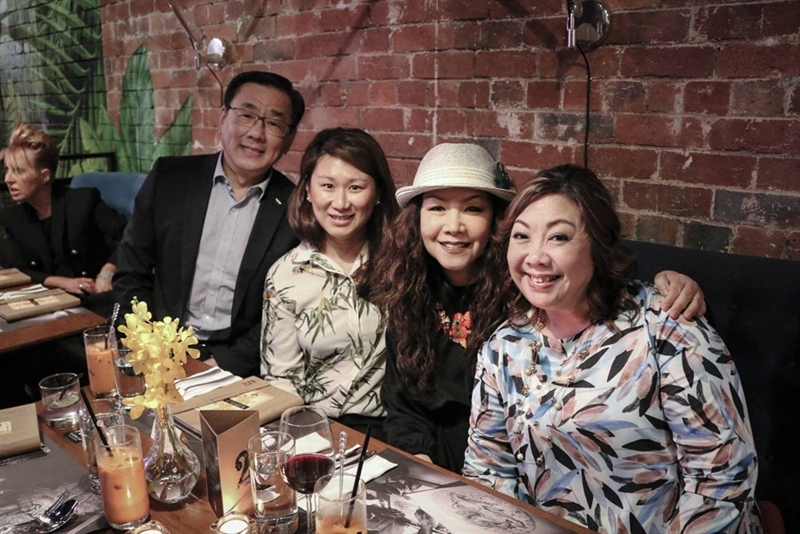 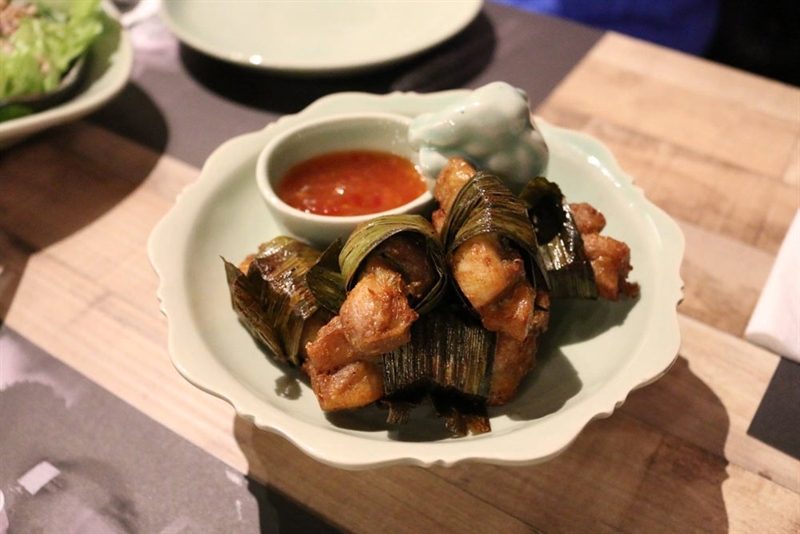 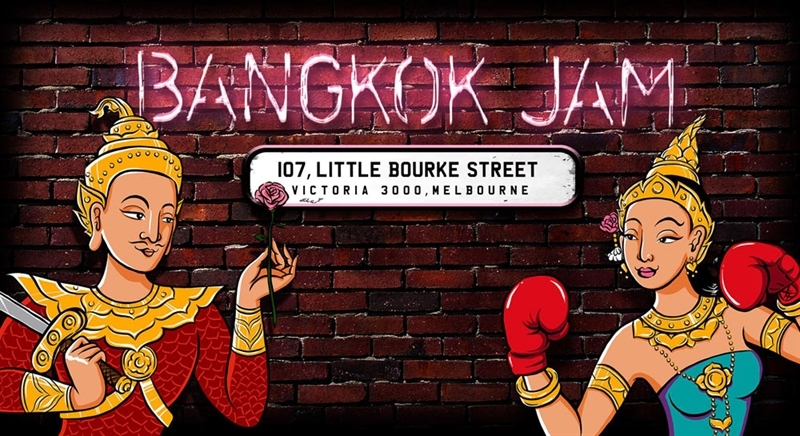 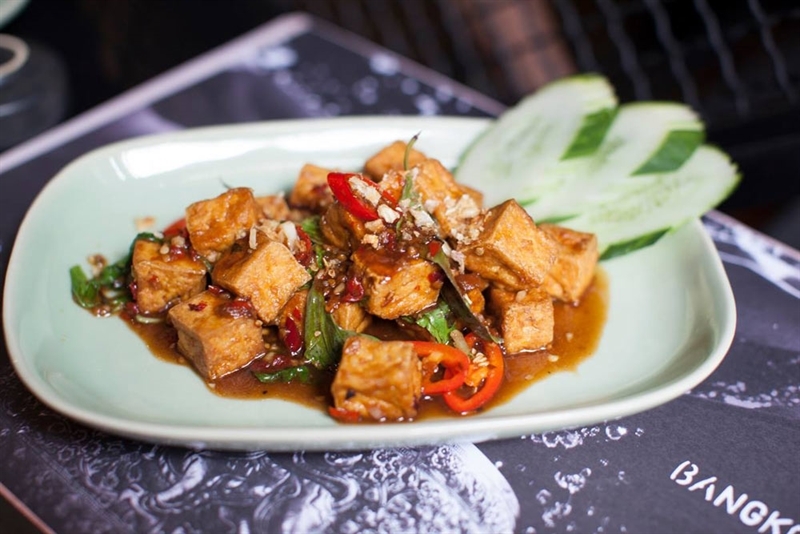 Thailand and Melbourne meet in a fusion of traditional cuisine and modern architecture at Bangkok Jam on Little Bourke Street. 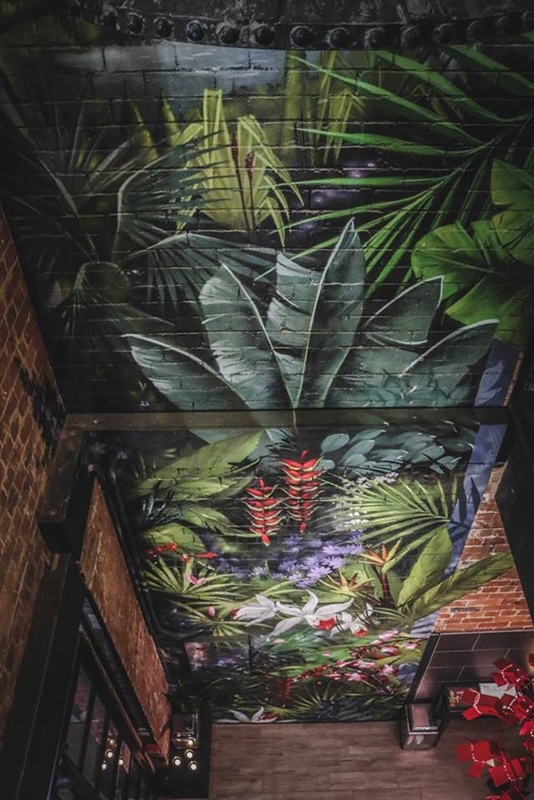 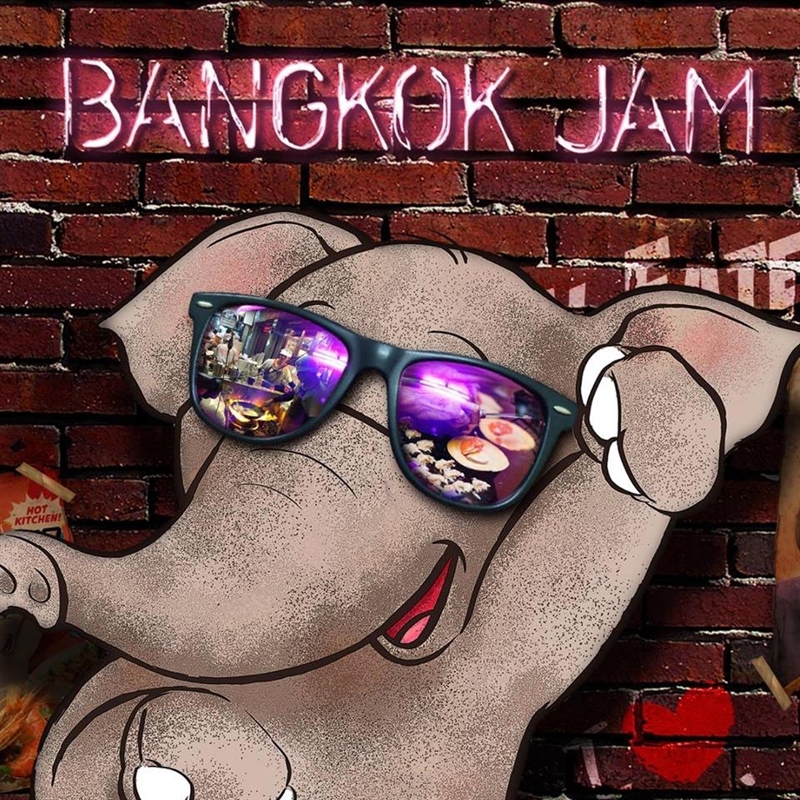 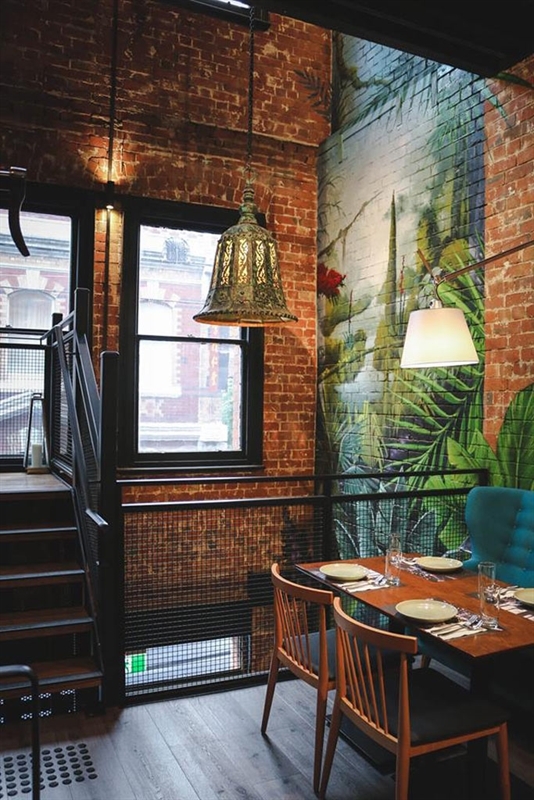 Located in the business district, forget about work because the Thai fare on offer is simply the best in the business, in fun and funky surrounds of a floor to ceiling wall mural depicting vibrant palms and flowers, Brahma artwork and jammin' accessories. 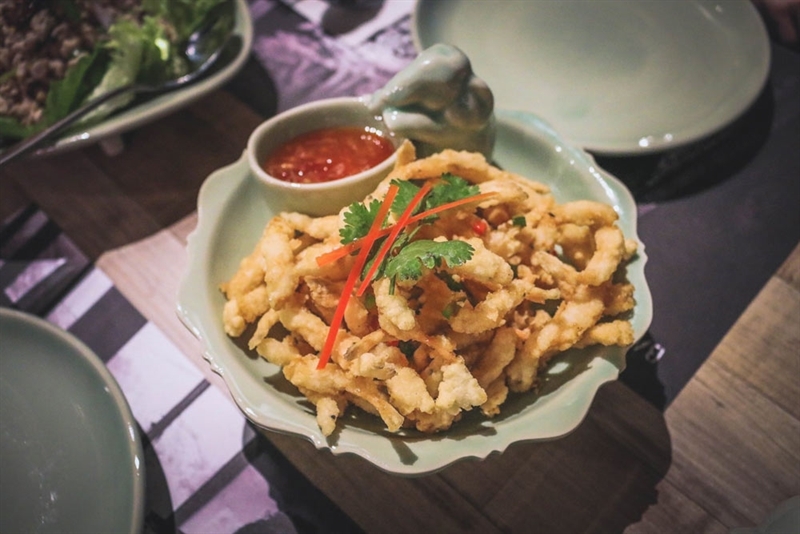 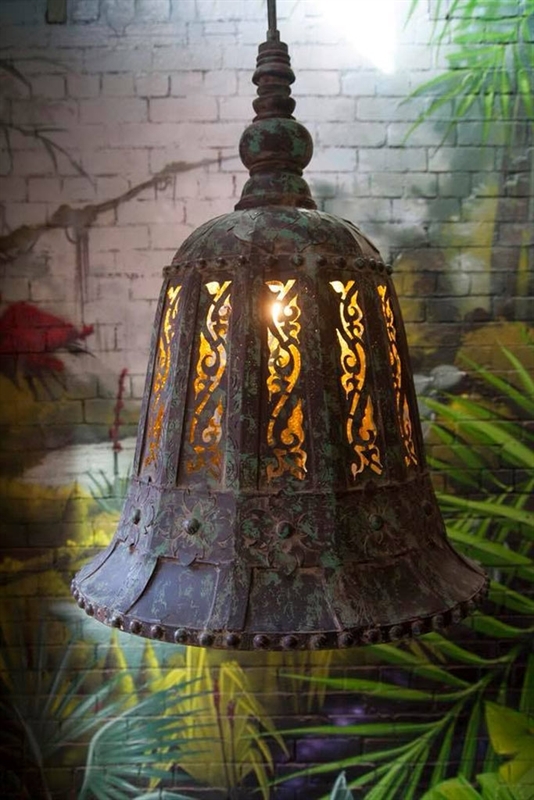 Pull up at the bar for an after work drink like a lemongrass tinged mojito, or choose an intimate table for a special dinner and contemplate a punchy menu with starters like deep fried salt and pepper whitebait. 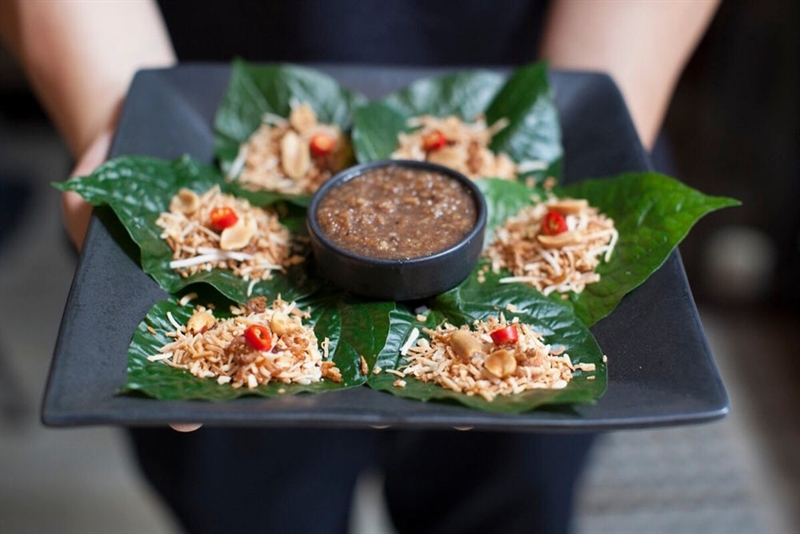 Embark on a main tuk tuk ride with dishes such as stir-fried duck slices with holy basil, garlic and fresh chilli, or seafood tempters like steamed barramundi fillets with spicy lime and garlic sauce.